When you place an order at The Black Cat Cafe in Devon, PA you'll help save the life of a cat. The french-style cafe is run by the animal rescue group PALS and all the profits go to help cats "whose only option is life on the streets or euthanasia at a high-kill shelter." On each table at the cafe there is a photo of a kitty that is looking for a forever home. Every Saturday the public is invited to meet adoptable dogs with PALS rescue partner All 4 Paws Rescue. Wish we had a cafe here! What a very cool idea!! Field trip!! I looked it up and it's only an hour away! A Cafe! For Cats? Great idea :). That is a pawsome cafe!!!!!! Thanks so much for posting! I'm a volunteer at the cafe and love seeing so much support for what started out as a really big leap of faith. 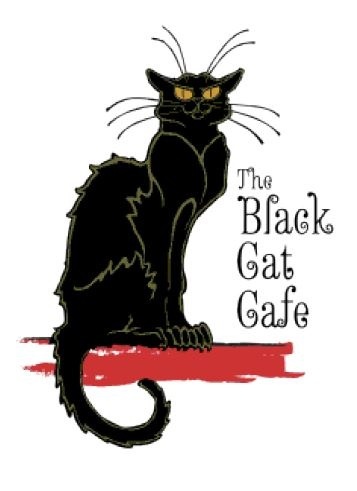 Visit our facebook page (you have the wrong link for our facebook) www.facebook.com/theblackcatcafe or follow us on twitter @theblackcatcafe. Please stop in! I hope others get the hint from these guys -- there's LOTS of room for restaurants like this!